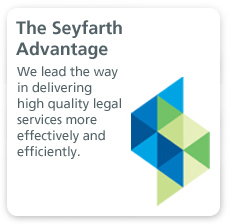 Seyfarth has decades of experience providing innovative investment counseling to some of the country’s and the world’s largest public and private pension funds, insurance companies, REITs, investment advisers, private equity firms, municipalities and other public entities, and foreign and other institutional investors. We provide advice to our institutional clients with respect to nearly every conceivable type of investment in leading global markets. Our team of more than 50 attorneys spans cross-practice disciplines in corporate, benefits, tax, derivatives, fiduciary, securities, real estate, litigation and bankruptcy. 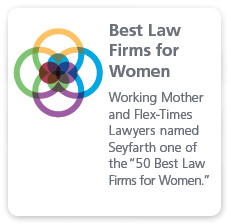 Members of our group are recognized as leaders in their fields by Chambers USA and The Legal 500, among the elite American College of Real Estate Lawyers, or are active participants in the National Association of Public Pension Fund Attorneys, Pension Real Estate Association, and a range of trade industry working groups. 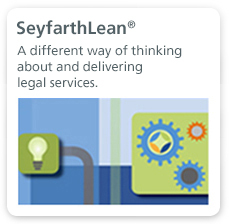 Our team includes leading authors, educators and professionals who provide practical, results-oriented legal counsel. Whether assisting clients investing in a fund, negotiating a co-investment or forming a joint venture, our attorneys have the experience to navigate clients through the complicated business, tax, regulatory and fiduciary issues facing the institutional investing world, both from buy-side and sell-side perspectives. Our extensive experience with public plans, ERISA plans (both single employer and multi-employer) and other institutional investors, coupled with the regular exchanges among our institutional investor team members, provides us with invaluable insights into the latest structures and operation of funds, familiarity with current market terms and knowledge of new trends. Negotiate cutting-edge terms in master agreements and ancillary documentation published by international trade associations such as the International Swaps and Derivatives Association, Inc. (ISDA) and the Futures Industry Association (FIA). We also are familiar with the Institutional Limited Partners Association (ILPA) and the Alignment of Interests Association Hedge Fund Investing Principles, and regularly counsel clients with respect to a fund’s compliance with these guidelines. Our team gets results: We have the depth, breadth and experience to complete any type of investment efficiently and on time.